Before you jump to conclusions, let me state that I am not encouraging you to break copyright laws by making copies of paid patterns for distribution. As a designer, I appreciate the amount of time and energy that goes into writing knitting patterns, and I fully support the right of each designer to determine and direct the manner in which his or her patterns are distributed to the world. That being said, most designers allow you to make copies of their patterns for your own personal use, after you have paid for them. * And that’s where this week’s tip comes in. I must confess that I have a strong aversion to writing in books (not just knitting books–all books). In addition to that, I tend to take a lot of notes as I knit, and most knitting books don’t have the margin space to accommodate them, were I so inclined. And I don’t know about you, but I tend to be rough on patterns. The digital patterns that I print and then knit from are often in tatters by the time I get done with them. Of course, this is perfectly fine when the patterns are digital. I have the master copy saved, and I can always print out another one if I decide to knit the piece again. It is, however, a definite problem if my pattern is located in a book, magazine, leaflet, or some other type of hard-copy format. In order to preserve the original, I turn to my copier for help. 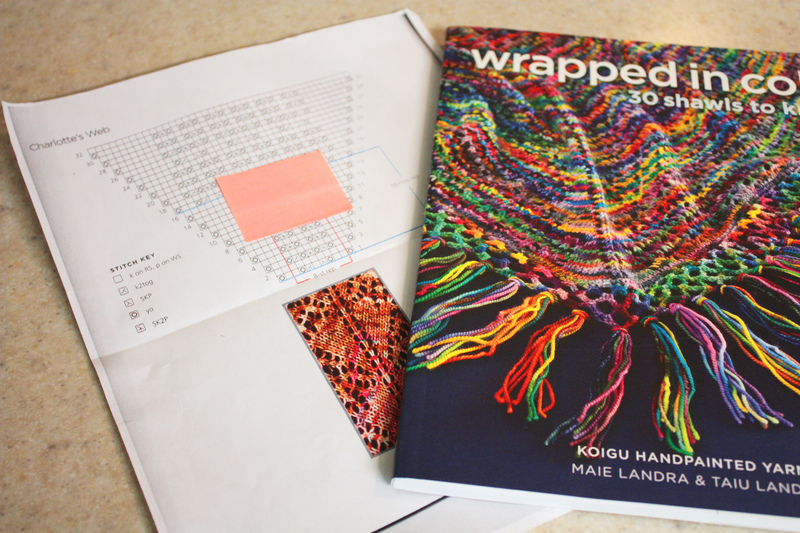 So, the next time you knit a pattern from a hard copy, why not give it a try? You won’t be disappointed! Already a fan of disposable copies? Please share below! *If in doubt, please read the copyright stipulations of the publication in question. Copies are truly underrated, they make doing any creative avenue easier. I am all for copying. I do it to draw and it makes things a whole lot easier.